The Paul Lynde Halloween Special aired just once (on October 29, 1976) on ABC. It co-starred Margaret Hamilton in what was her first reprisal of her role as The Wicked Witch of the West since The Wizard of Oz was filmed decades earlier (most of her work at the time this special aired was as spokeswoman "Cora" in General Foods' Maxwell House coffee commercials). Although I missed the original airing, I found the DVD release to be worth a look. Paul Lynde was perhaps best known for his role as Uncle Arthur on the seventies TV sitcom "Bewitched" (although he was also the center square on the game show "Hollywood Squares" for many years) and he was also known for his roles on stage (and in the movie) in "Bye Bye Birdie", as well as the voice talent on various Hanna-Barbera cartoons and as Templeton the rat in the animated version of "Charlotte's Web", and as guest star on TV shows ranging from "The Munsters" to "I Dream of Jeannie". Yet somehow, this television special from the mid-1970s made it to DVD. The company that brought that to the digital age was S'More Entertainment, Inc. (http://smoreent.com). As halloween specials go, there really wasn't much competition aside from reruns of Charlie Brown's Great Pumpkin, which frankly looked a lot like the Peanuts' gang's Christmas special, so the story wasn't one of those memorable ones. But the Paul Lynde Halloween special is also something of collectors item thanks to the musical guests (remember, this was before MTV or music videos generally): the seventies rock band KISS, which performed "Beth" as well as "Detroit Rock City"and "King of the Night Time World". The reason this DVD remains a collectors item among rock fans, is because it was also the very first network television appearance of KISS in their heyday. As for the plot, the most diplomatic way of describing it is that it's cheesy. Sure, it's cheesy, but it's only 50 minutes long with 3 KISS performances, combined with a "who's who" of celebrities in the 1970s, including Tim Conway, Florence Henderson, Betty White, Roz "Pinky Tuscadero" Kelly (known at the time for her TV appearance under the name Pinky Tuscadero on ABC's "Happy Days") as well as an unbilled cameo appearance of the ever-perky Donnie and Marie Osmond. This was entertaining because of the odd mix of stars it featured, kitschy comedy (including one skit starring Mr. Lynde as a "Convoy"-esque trucker with a CB radio), and Mr. Lynde's Hollywood Squares center square comedy. There are worse things that one could watch. The distributor has a disclaimer on the back of the DVD box that apologizes in advance for the quality of the video, which was from the only surviving master tape of The Paul Lynde Halloween Special. And although there's some video noise and picture quality is inconsistent, as DVDTalk noted (see HERE) "anyone who grew up on dubbed video tapes will feel right at home here with this okay 1.33:1 full screen transfer. Not nearly as bad as S'More Entertainment warns us it will be." 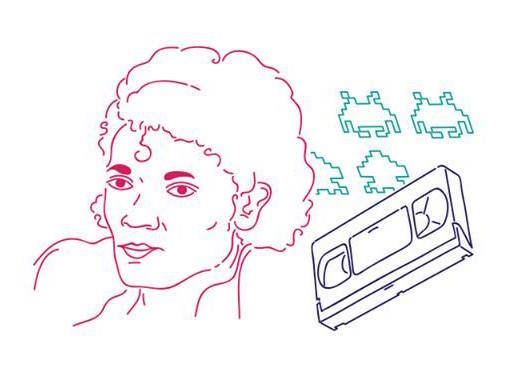 DVDTalk's review also happens to be one of the most comprehensive available, and I recommend having a look at it. While S'More Entertainment has digitized the content, and even apologizes for the quality (not exactly meeting the definition of "digitally remastered"), in fact, as TV specials go, the entertainment is funny for the peculiar combination of guests and musical talent, which would be difficult if not impossible to do again today even with hundreds of cable channels available. As DVDTalk.com wrote in it's review: "... there is a train-wreck fascination with this 1976 TV special. Where else will you see KISS competing with Florence Henderson in a sing-off - and lose? I highly recommend The Paul Lynde Halloween Special." Even though I was never really a huge KISS fan, I would say KISS beat Florence Henderson without any doubt, but you should judge for yourself! So far, in spite of having digitized the content, S'More Entertainment hasn't yet made this DVD available in streaming video format, but perhaps someday that will happen since it's an easy transfer and Amazon can likely handle that. 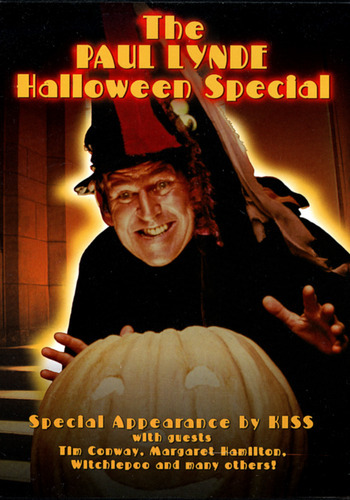 In the interim, this DVD special can be had for a pretty low price (now selling for like $7, although the official "list price" is $14.98, which again, is relatively cheap), and might be worth getting in time for your next Halloween TV viewing. Wonderful post but I was wanting to know if you could write a little more on this topic?